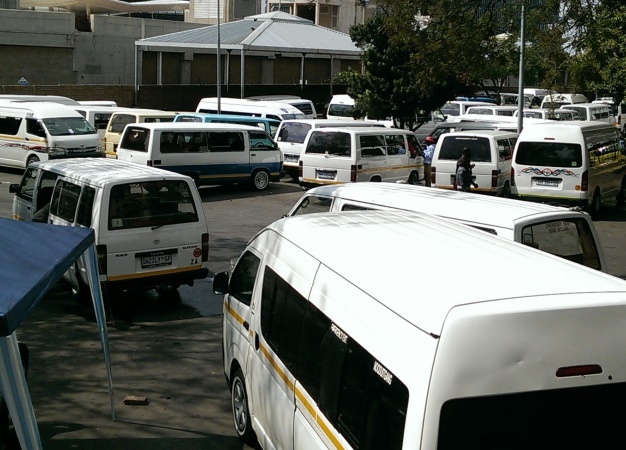 Mamelodi taxi boss Vusi "Khekhe" Mathibela will have to opt for a bail application to get himself freed from prison after he lost his bid to have his arrest declared unlawful on Wednesday. According to police spokesperson Brigadier Vishnu Naidoo, the Gauteng High Court in Pretoria dismissed the application with costs after Mathibela failed to present a compelling argument to the court. Mathibela was granted bail in a separate case in which he is accused of the murder of construction and property mogul Wandile Bozwana. Bozwana was killed in a suspected hit in 2016. However, the State has applied to have his bail withdrawn. He is currently on trial for Bozwana's murder. In March, Mathibela was arrested for alleged extortion from taxi drivers, businesses and spaza shop owners. Along with two others, Elias Skhosana and Stemer Monageng, he was charged with extortion, assault and intimidation. But he claims that his arrest was unlawful and that he was never presented with a warrant of arrest. During Mathibela's first appearance in the Pretoria Magistrate's Court, he claimed in an affidavit: "My legal team was informed that I was not arrested pursuant to the said warrant of arrest but in terms of section 40 of the Criminal Procedure Act." Section 40 deals with instances in which a peace officer can make an arrest without an arrest warrant. Prosecutor Lizo Tshomela conceded that Mathibela was not arrested in terms of an arrest warrant, but said there was good reason for this. Tshomela added that section 40 of the Criminal Procedure Act made provision for an arrest. Mathibela is expected in court again on April 26.